The computer must have at least 1 free PCIe Rev. 2 x4 Slot. 1 M.2 NGFF SSD Key M. (Not Key B, also called SATAM.2 ). 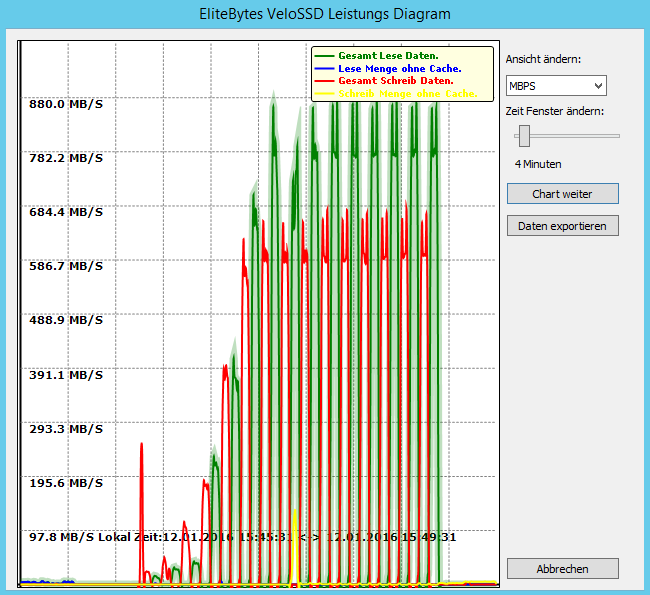 1 VeloSSD SSDCache Software. (download here ). This is a screen shot of the 880G Micro ATX Form Factor Board. It was on the market around 2010. 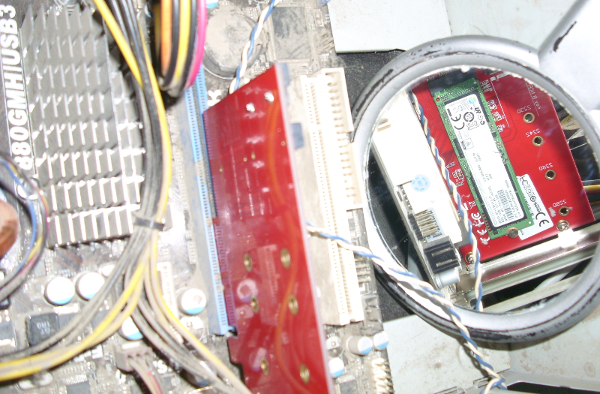 It features 1 PCIe Revision 2 x16 Slot. Visible is a mirror, showing the rear side. 4 PCIe Revision 2 lanes are theoretically capable of 2GBit/s. This board had a maximum of 250 MegaByte/s before.(SATA2). Now it can do 888 MegaByte/s. Impressive ? Is there a relationship of the board name and it´s speed ? Can that be ?